The Simpler, Smarter Lesson Planner. Never struggle with lesson planning again. Your plans are available anywhere and are simple to create. Attach files, Common Core Standards, print, export to Word or PDF, share with colleagues. 14-day premium trial, free basic service for life, 10-second sign up, nothing to install and no credit card required. I have used PlanbookEdu for almost two years now and I can say it only gets better with time. I have stored all of my class plans and even files that go along with the plans. I have used PlanbookEdu exclusively since the beginning of the year and LOVE it. I do many of the same routines each day, and it is so easy to copy for the week, or even the year. I will continue to use this program, which has simplified my teaching life. I just began using PlanbookEdu and I can't believe how much time it has saved me! I love the way I can share plans and lessons. 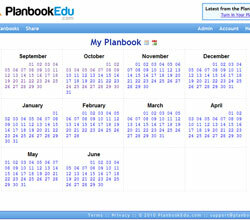 PlanbookEdu is one of those great tools that helps simplify a teachers life! I knew from day one PlanbookEdu was what I had been looking for. I have told my grade level teachers and my principal about how much I love it. I love my PlanbookEdu. So easy to connect with my grade level partner and send lessons to my principal every week! Thanks!! Now that I have a year's worth of plans saved, it is an easy copy paste, no more typing plans and attaching files and links, I have it all saved! 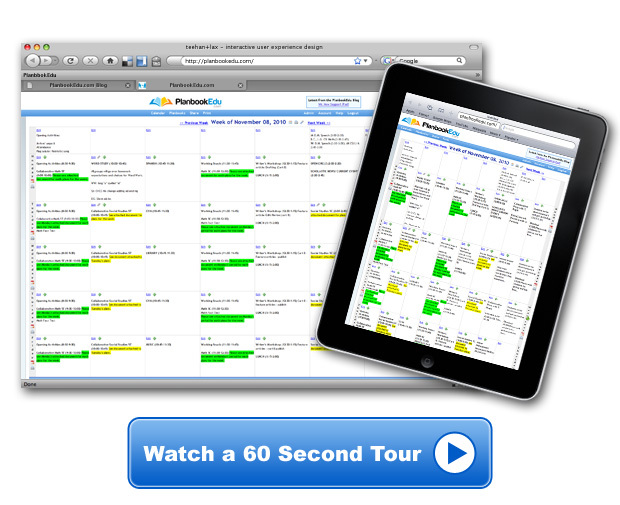 Now I just tweak and make my plans better because I have the time to do that because of planbookedu.com. Being a veteran teacher of 19 years who always used a hard copy planbook, I must admit that I was more than hesitant to enter the technological age and use "online" planbooks. PlanbookEdu was the answer to my prayers! It is so simple to use even inadequate computer users such as myself have an easy way to plan online. Thanks for making this teaching tool usable to even those who have a fear of the computer! 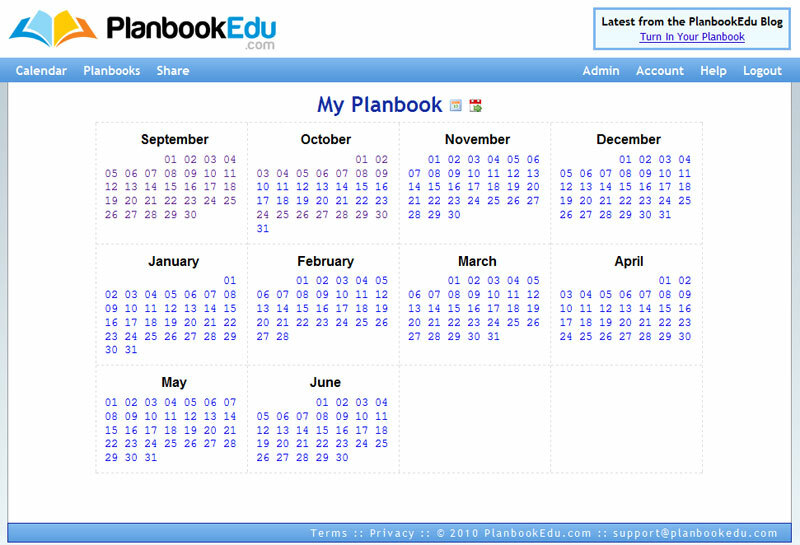 I am a fairly new teacher of 4 years, and have used Planbookedu for two years now. I love it! I am able to access my lesson plans from any computer, and I now three other co-teachers of mine have begun to use it as well. I love the fact that we can all share lessons, and coordinate with each other on all lessons! I have tried so many ways of lesson planning in 25 years of teaching, but nothing has ever been as effective or time saving as PlanbookEdu. I found this miraculous site about 2 months ago and I can't believe the difference it has already made in my life. 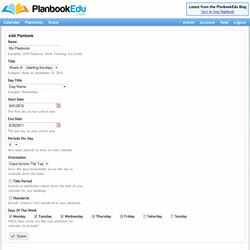 I love PlanbookEdu because I can access my lesson plans and attached files from any computer. When I print out a weeks lessons I can print my worksheets etc directly from my planbook which makes it so easy. It makes it so easy to organize my lessons! Since PlanbookEdu is hosted on our safe, fast, and reliable web servers, you don't need to worry about a thing. All you need is a web browser (Internet Explorer, Firefox, Safari or Chrome), a Mac or PC, and an internet connection. Want to share your plans with colleagues, administrators or a substitute? It's easy and completely up to you what they can see and for how long they'll be able to see it. 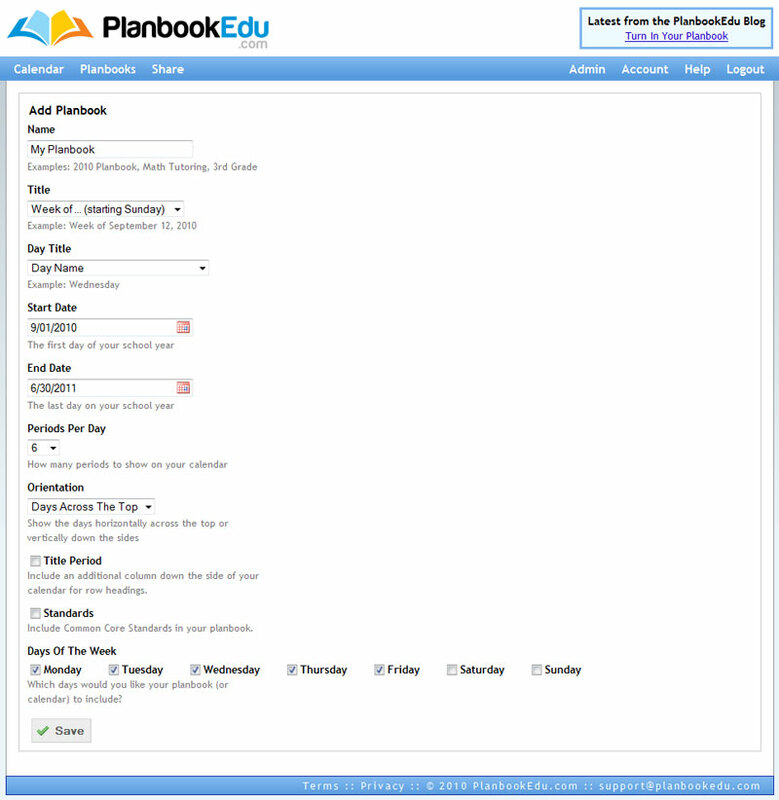 PlanbookEdu is great for educators and administrators from public, private, and home schools. 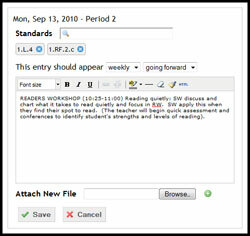 Whether you teach elementary, middle, or high school, anyone who creates lesson plans for K-12 will find our site useful. PlanbookEdu fits naturally with the other tools provided by Google Apps for Education and provides a unified solution for schools already using Google for email, calendar and document management. Click here to see PlanbookEdu's listing in the Google Apps Marketplace.